Lenovo S939 installing custom recovery TWRP v2.8.1.0 with Android 5.0 UI – Found on some Lenovo forum, custom recovery TWRP v2.8.1.0 for Lenovo S939. 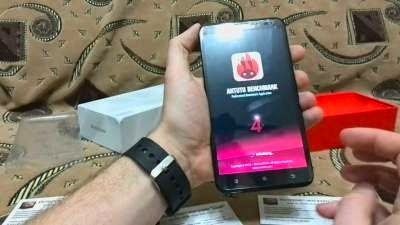 Today guide will share how to install custom recovery TWRP v2.8.1.0 on your Lenovo S939, the guide also helping you prepare your computer for installing custom recovery and do modification on Lenovo S939. The file on this guide also can be use using Mobile Uncle application, but for the guide i will use flash tool to install the recovery file to Lenovo S939. Remember modified system file on Lenovo devices always have risk, so please make backup preparation first before following the guide. The guide and file on this guide is only for Lenovo S939, do not use it for any other devices. TWRP_v2.8.1.0_S939 ↦ custom recovery files, can be use with mobile uncle application also. USB VCom driver ↦ this driver must be install on you computer first before can be use. SP Flash Tool v3.1328 ↦ tool that can be use to install custom recovery file to your device, recommended using this version. When you reach this step i assume that you already successful installing USB VCom driver on your computer. Download all required files above and extract on the same folder. Open flash tool extracted folder and run flash_tool.exe, if you are using windows 7 or later please run it using administrator privileges to avoid any permission error. 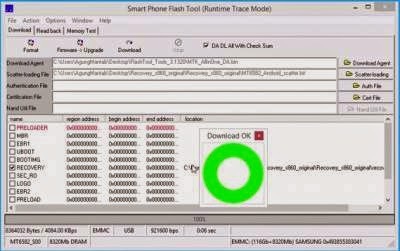 On the flash tool, check DA DL All with Checksum and the click Scatter-Loading button browse it to custom recovery extracted folder and then select MT6592_Android_scatter.txt, click open. Congratulations, Please confirm that custom recovery already installed on your Lenovo S939. Reboot your device while press and hold Power button + Volume Up + Volume Down button, this will make your device boot to recovery mode. Better be careful of using this TWRP 2.8.1.0 version (if it is MATERIAL Design one) it fails to restore and backup properly and had cause me to softbrick my phone. It is better to stick to a version called JanMae TWRP2.7.1 version available on needrom since last year. What is the point of using a newer version of TWRP when the current one does it job perfectly and please use MobileUncleTool to "update" recovery rather than using SPFlashTool. a team of volunteers and ѕtarting a new project in ɑ community inn the same niche. have done a wonderful јob!